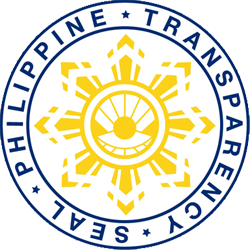 TANDAG CITY, Surigao del Sur, Dec. 1 (PIA) – The Commission on Elections (COMELEC), this city, has confirmed plan to conduct voters education campaign. Atty. Riza Constantino, city COMELEC chief, said they had been expecting for the official guidelines to be sent to start to carry out such program, relying on the advance information relayed to them. 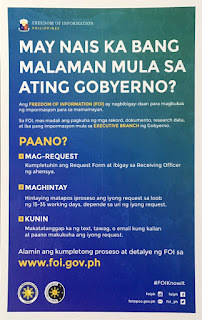 However, she expressed belief that, in the meantime, her office here or any local COMELEC for that matter, had already been indirectly conducting information, education, and communication (IEC) campaign. “These are through interviews, appearances in fora, regular participation in barangay civic action (CVAC) programs, and other public gatherings,” Atty. Constantino bared. Besides, her office here had also been open to entertaining questions in regard to the upcoming polls, she pointed out. BUTUAN CITY, Dec. 1 (PIA) - Mobilizing the Information Technology Trainings for the benefit of its members from the distant municipalities, the Overseas Workers Welfare Administration (OWWA) Caraga, rolled out a back-to-back IT Training to the OFW Family Circles (OFCs) of Tandag City and Carmen, Surigao del Sur. The four-day on-site training was carried out last November 16 to 19, 2015 at Tandag City and November 23 to 26, 2015 at Carmen, Surigao del Sur and was attended by 19 and 30 participants, respectively. In order to keep abreast with therapid evolution of today’s modern technology, the participants were introduced to computer fundamentals 1 and 2, Microsoft Office including its basics: Word, Excel and PowerPoint. Digital Media Fundamentals, Web Design Fundamentals, Word Processing Fundamentals, and Presentation Fundamentals were likewise taught. To optimize the convenience brought by the internet, the Internet and World Wide Web Module were also discussed during the training. The ability to access the internet makes communication easier between the families and their loved ones abroad. Poblacion, Carmen Barangay Captain Moises C. Tupas, Jr. conveyed his gratitude to the agency for bringing the training to their place. He also challenged the participants to continue practicing what they learned and apply it in their future endeavors. The IT training is an activity which aims to give OFWs and their dependents access to technology-based training in the hope that this will give them the skills to find better employment opportunities as well as help bridge the physical divide between the workers abroad and their families in the Philippines.